What model of democracy is emerging in an era where social media are increasingly intertwined with politics for growing proportions of people across the world? This paper considers whether pluralist models provide a useful way to understand democracy in the social media age. As people go about their daily lives, they are invited to make ‘micro-donations’ of time and effort to political causes: liking, sharing, tweeting, retweeting, following, uploading, downloading, signing petitions and so on, which extend the ladder of participation at the lower end and offer citizens new opportunities to exert the ‘continuous pressure’ on states envisaged by early pluralists. These micro-donations can scale up to large mobilizations – most fail, but some succeed rapidly and dramatically through a series of chain reactions and tipping points. When deciding whether to participate, people are exposed to multiple forms of web-based social influence, such as social information about the participation of others, visibility and network effects. Different types of people (personality types for example) have different responses to these forms of social influence. This paper argues that such dynamics are leading democracies to a model of ‘chaotic pluralism’, characterised by diversity and heterogeneity as were early pluralist models, but also by non-linearity and high interconnectivity, making this model far more disorganised, unpredictable and unstable than the architects of pluralist, neo-pluralist or revisionist models ever envisaged. The paper proposes methodologies for studying such a political system - big data analysis and experiments - and discusses the implications for the future of the modern state. Helen Margetts is the Director of the OII, and Professor of Society and the Internet. She is a political scientist specialising in e-government and digital era governance and politics, investigating the nature and implications of relationships between governments, citizens and the Internet and related digital technologies in the UK and internationally. She has published major research reports in this area for agencies such as the OECD and the UK National Audit Office, in addition to important books and articles. In 2003 she and Patrick Dunleavy won the 'Political Scientists Making a Difference' award from the UK Political Studies Association. She is co-director of OxLab, a laboratory for social science experiments and editor of the journal Policy and Internet. 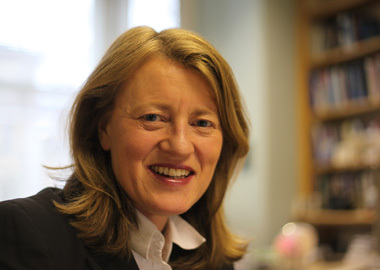 Professor Margetts joined the OII in 2004 from University College London where she was a Professor in Political Science and Director of the School of Public Policy. She began her career as a computer programmer / systems analyst with Rank Xerox after receiving her BSc in mathematics from the University of Bristol. She returned to studies at the London School of Economics and Political Science in 1989, completing an MSc in Politics and Public Policy in 1990 and a PhD in Government in 1996. She worked as a researcher at LSE from 1991 to 1994 and a lecturer at Birkbeck College, University of London from 1994 to 1999.